VMware vCloud Air is the public cloud offer by VMware (formally known as vCloud Hybrid Service) built on the foundation of vSphere and compatible with your on-premises VMware’s based data center. Actually it included several different services: infrastructure, disaster recovery, data protection, and various applications as service. 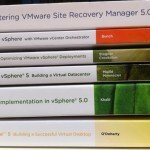 VMware site and blogs cover more of the information about using this service, but there is a book: Learning VMware vCloud Air. This book try to explain some of those services and is intended for cloud engineers or administrators who wish to explore and gain hands-on experience of VMware vCloud Air. There are several other services, and also with the last VMworld US 2015 announcements there are some interesting features like the cross cloud vMotion or the SRM to vCloud Air capabilities that should be added. Virtual Private cloud on Demand is not mentioned at all (probably was not available during the book writing), but it remain the best way in order to test the IaaS capabilities. If you are also interested there is a promotion to get $300 in service credit for your first 90 days. Also the registration procedure description is quite old (and the Early Access Program is no more existing and there were only 3 regions). Fortunately the registration procedure isn’t change too much. Chapter 1, Getting Started with VMware vCloud Air, introduces the concepts and features of cloud computing. This chapter discusses the importance of cloud computing and how it can be leveraged to bring competitive advantages to businesses. It provides an introduction to vCloud Air, its components, and its features, and tells you how to get started with its services. Chapter 2, Working with Virtual Machines, covers the basics of virtual machines, vApps, templates, and catalogs. It describes in detail how you can create and launch your own set of virtual machines in vCloud Air. 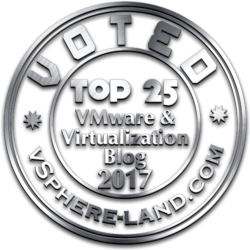 The chapter also describes a few essential best practices and tips that you should keep in mind when designing and building your virtual machines on the vCloud Air platform. Chapter 3, vCloud Air Networking and Security, delves into the concepts of networking, with a special emphasis on gateways, DHCP services, network address translation, load balancing, and so on. This chapter also provides you with a step-by-step guide that will help you connect your virtual machines with the outside world. Chapter 4, Extending vCloud Air, focuses on the different types of connectivity options provided by VMware vCloud Air to customers for extending their on-premise data centers to the cloud. The chapter also provides an in-depth look at the VPN service and tells you how you can leverage it to connect vCloud Air with other VMware-backed private and public clouds. Then it covers the basics of installing and using VMware vCloud Connector as a tool to migrate your workloads from an on-premise environment to the vCloud Air platform. 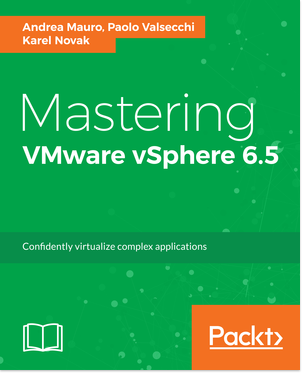 Chapter 5, Monitoring Workloads on vCloud Air, covers a basic overview of the VMware vRealize suite of products, with a special emphasis on VMware vRealize Operations Manager. This chapter describes in detail how to deploy a fully functional vRealize Operations Manager into your on-premise VMware environment, and leverage it to monitor your workloads on VMware vCloud Air. Chapter 6, Business Continuity and Disaster Recovery using vCloud Air, describes the importance of a good and functional disaster recovery plan. This chapter also provides an in-depth view of VMware vCloud Air’s disaster recovery service, its components, and its key features. It walks you through simple steps to configure vSphere replication with vCloud Air and test and perform virtual machine replications. A good introduction chapter is missing: the first one describe the services, but not the architecture (partially described in chapter 3, at least for the networking part). Also there are no mention on how use (or why use) vCloud Director or APIs to manage the virtual machine or the virtual networking or other vCloud Air resources. Same for VMware Workstation that has (starting from version 11) some (limited) integrated functionallities. 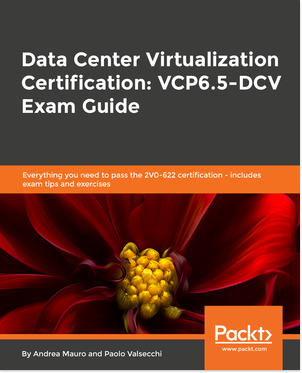 Chapter 4 and 5 are the most interesting in order to build and monitor an hybrid cloud infrastructure, because they describe in the details how configure the networking part and use vCloud Connector and also how configure vRealize Operations Manager in order to monitor the infrastructure. Chapter 6 could be interesting in order to understand how use vCloud Air for DRaaS, but it’s too sort, and become partially outdated due to the new features of SRM 6.1. So a really good idea, but that needs a new review as soon as possible and some good integration. And possible some examples of user cases.